I learned a new term recently when I was trying to express my affection for gardening to my friends, it’s “bricoler autour de la maison” – it’s super french if you didn’t notice. It means that I like to putter around the house, which I do like to do, very much. I especially like to putter in my garden, I can’t resist. I hope my puttering can translate into some useful knowledge that I can drop on you guys. I’d like to share with you my fly-by-the-seat of my pants gardening methods. 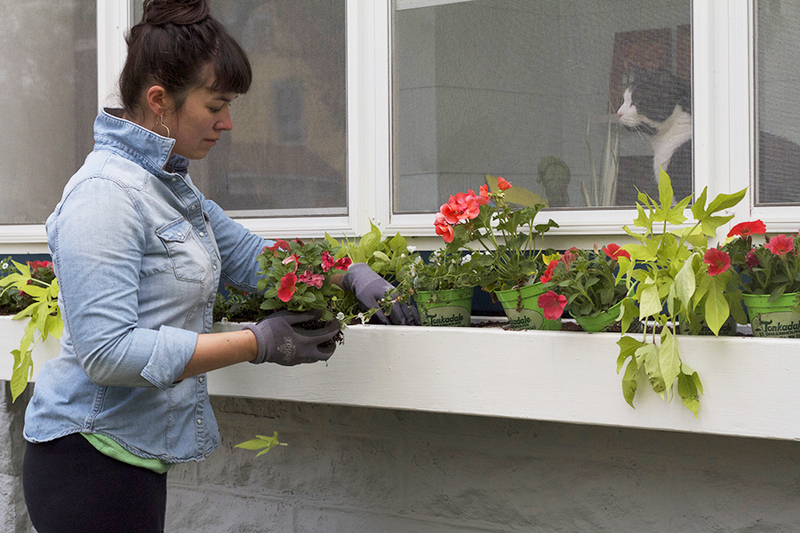 Today we’re gonna talk about planting yer very own window box or container garden. The formula works both ways, buddies. You need good drainage. That’s right. Drainage. Make sure that whatever container you are using for your garden has drainage, this might involve getting a drill out and making holes in the bottom of your pot. Do it. 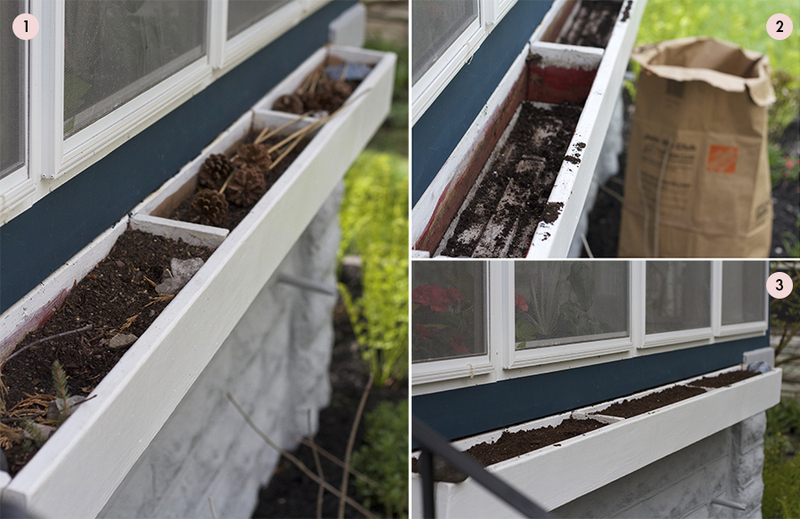 Good drainage is key to a healthy window box or container garden. If you are planting in a wood vessel consider lining it to prevent rot. I used a plastic liner in the bottom of my boxes, but you could also line it with a plastic wrap. So you have your container… your gonna wanna empty that bad boy out. Yeah, that soil you had in there last year was cool and all, but your plants aren’t gonna be impressed with it this year. Invest in some good soil and get rid of that old stuff. Your plants will thank you by being beautiful and awesome. I like to use Miracle Gro Potting Mix. Potting mix is fluffy allowing for good drainage. It helps to prevent the soil from compacting around the roots of plants. Look for these ingredients when purchasing potting soil; perlite, vermiculite, lime, and peat moss. The Miracle Gro mix has fertilizer that will release for 6 months, here in Minnesota thats longer than our growing season. 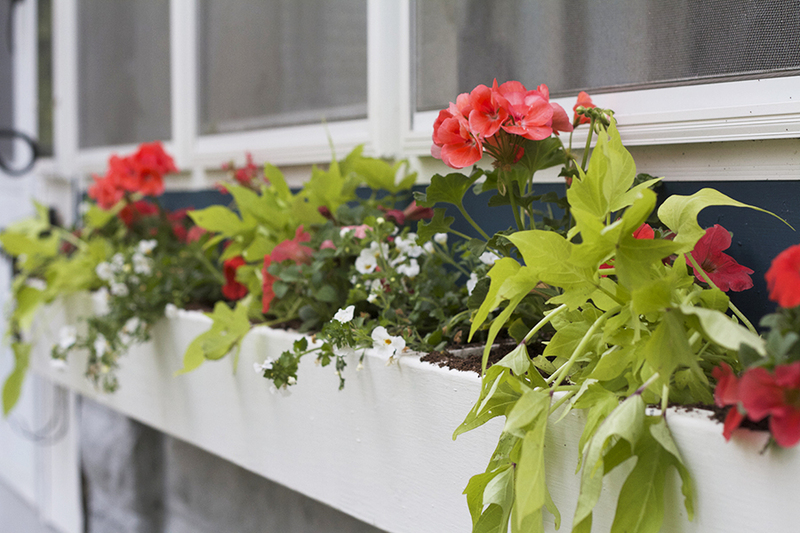 Fill your pots of window boxes with new soil up to an inch of the top of the container. If you are filling a deep container go ahead and fill the bottom with rocks, pebbles, stones, or broken up clay pots to reduce the amount of soil needed, this will also help with drainage, and depending on what you use will reduce the weight of your pot. My window boxes are shallow so I will skip this, but my deeper containers mos def have a layer of rocks on the bottom. Tip Check to see if your city allows soil to be composted and reused. Your gonna need some plants for this most awesome container garden you’re planting. There is a little rule of thumb often used, and it rhymes. Thriller. Filler. Spiller. I don’t generally like rhymes like this, but it does help when choosing plants. Basically you want some pretty things (aka thriller), some flowers that will fill in the box and give height (aka filler) and a few that drape over the edge of your container (aka spiller). Before you start choosing plants pay attention to the type of light your container garden will be getting. If it’s sunny, head to the sunny, typically uncovered section of your garden center, this is where you will find the sun loving plants. If your container will be receiving partial or full shade you’ll want to shop in the covered interior section of the garden center, this is where you will find plants who enjoy being well shaded. 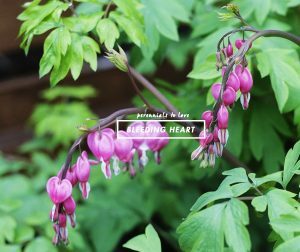 Consider the foliage of your plants as well. There are so many flowering annuals with interesting leafs, it can add a lot of cool texture to your container, and it should not be overlooked when coming up with your annual combinaish. 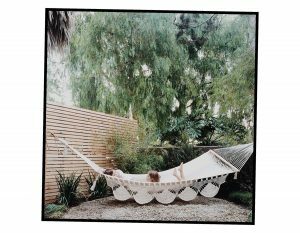 Tip When you are at the “flower store” look at the pre-designed hanging planters and potted plants for inspiration in your own garden. They often list the plants used in the arrangement and typically pots are either sun or shade friendly – find the individual plants and purchase them for your container. You’ll be guaranteed to buy things that look pretty and require the same amount of light. Don’t forget about repetition. It might sound fun to buy a little of everything, but it’s just not a good idea. I usually I stick to 3-4 plants and then repeat them throughout my window boxes and yard. Almost every year I pick an entire new look, this year I’m hooked on coral and lime green contrasting it with the deep teal blue of my house. Repeating colors and textures will help to give your entire yard a cohesive look. 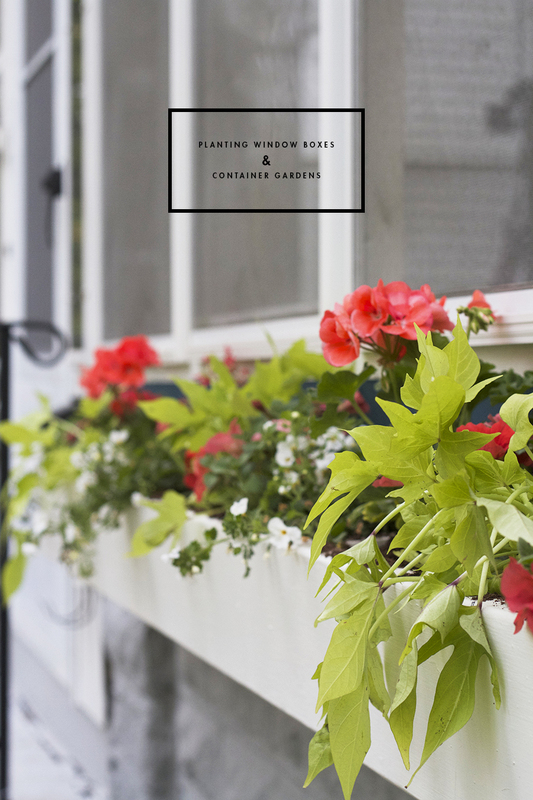 For this year’s window boxes I used; Betty White Bacopa, Rocky Mountain Salmon Geranium, Sweet Caroline Light Green Potato Vine, & Salmon Petunias. So you need to actually plant your flowers now. Using your hand or a 4” gardening shovel dig a small hole in your newly placed soil. 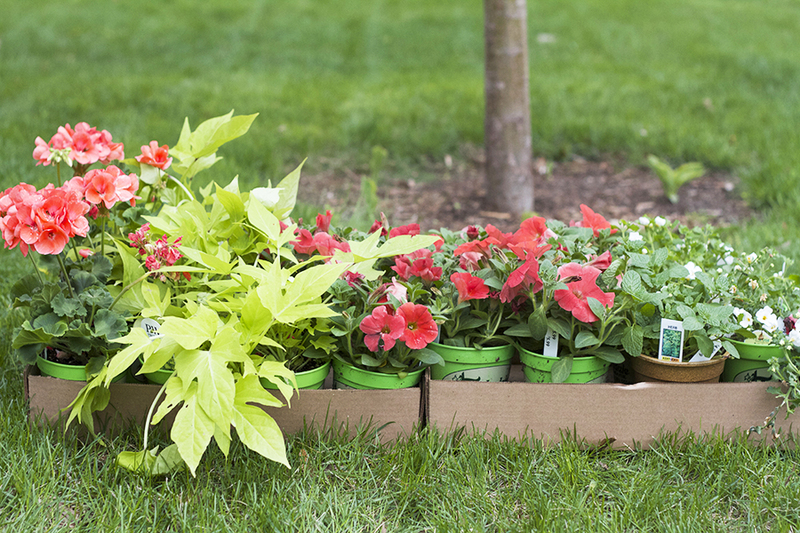 Then you’ll need to remove the plants from the plastic nursery containers. It’s super easy to do this, just tip the pot upside down and squeeze from the side, gently pulling the plant out from it’s base. With the plant removed from the pot, begin to break up the root ball, loosening it gently with your hands. This will create a strong root system and encourage new growth. 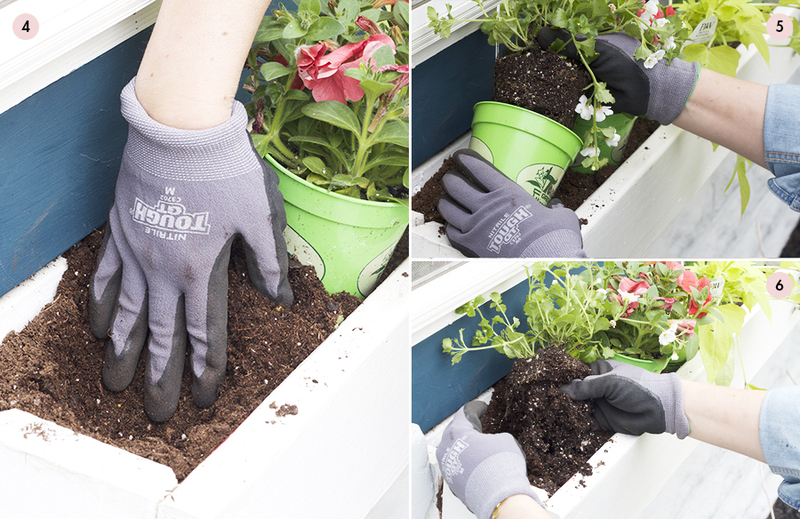 Place your plant in the hole and push the potting soil around it. I enjoy a full planter box so I typically plant 4-5 plants per 24”. Plants will increase in size so if you don’t need to cram them in, spread them out and by the end of the season you will have window boxes and containers brimming with beautifulness. Once your plants are planted snuggly in the garden soil go ahead and give them a healthy watering. 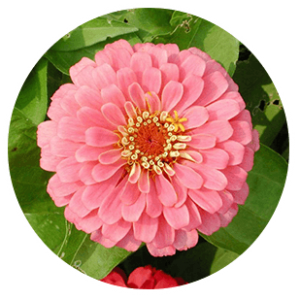 If you are not using a soil that already contains a fertilizer consider using PHC all-purpose organic fertilizer. Follow the instructions on the produce for application procedures. Water your window boxes and potted plants, you guys! In the summertime you can’t water them enough. If you can get in a daily watering, GREAT, if not, you better be watering your potted plants every other day and even more when it’s super hot. They need your love! Here’s a list of common annuals that you can use when creating your own window boxes and container gardens. I hope this helps some of you. To all you long-time gardeners out there, feel free to add on in the comments if I’m forgetting a crucial step or if you have a great tip. 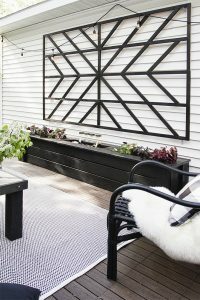 I am working on curb appeal this summer and one of the items to check off my to-get list is window boxes! I am just not sure the best place to get them? Lowe’s and Home Depot have several available to order online but I was a bit shocked at the price (i.e. $132 for a 48 in. one! And I need two…) Any suggestions on where to get a more affordable option? Oh man, I wish I knew. I could totally look around and put a post together for you on a few options. It seems like there is a bit of interest in this topic. I did not build my window boxes, but someone before me did. They seem to be made out of a few pieces of 1×5 screwed together, so nothing fancy. This might be an option for you if you have access to tools and are a bit handy? I’ve also seen brackets and trim available that would help fill out a simple box like mine, or a less expensive off the shelf variety. I’ll do a bit of research and then reply back to you. That would be awesome if you got back to me — thanks!! I paid 37.00 for 8 ft. window boxes. I went to an unfished wood furniture store in Falmouth Mass. I would also hunt for pots, planting materials in discount stores. At the Christmas Store in Sandwich Mass. coconut matts were selling for 2.29 a piece…..I don’t know where you are from but I would check out those types of stores for a deal. It is a dumb rule but Minneapolis doesn’t accept soil with yard waste. Did you install these window boxes yourself? I’d love to put some in but I’m a little nervous about drilling into our siding. Hey Rachel, No I didn’t install them, they were here when we moved in. They seem to be simply drilled into the concrete, I’m guessing an anchor was used. 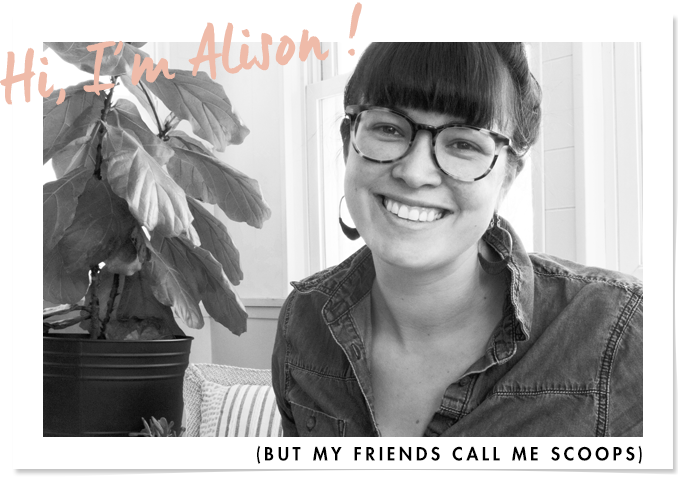 I wish I knew more, and could share with you… Maybe something to be addressed in a future post? Ali, take it from an established gardener, your comments are great! looooved this post. window boxes are top priority on my to do list at the new house. I want to full mine with succulents:) Love you thriller, filler, spiller tip. def gonna use it. Yes! So jealous that you live in a climate that can handle succulents as window box plants. Sounds so beautiful! How can I keep squirrels out of my flower boxes? I planted geraniums in my flower boxes two years ago and the darn squirrels had it all dug up in no time! Those dang squirrels! They are the worst! I don’t know the best way, they have natural animal repellents at the garden store. I’ve been using one that is basically dried up bovine blood, but it’s been keeping the rabbits away. I would start there. I ran across an idea a couple of years ago. After the holes are in the bottom, I open up an unused baby diaper and cut so it lays semi-flat in the bottom of the box. It absorbs water and releases back into the soil throughout the day. Plants love it. I live in a low humidity area and I was having to water twice a day to keep anything alive before the diaper. Now it is once a day or every other day. I have changed the soil out yearly but the diaper lives on! 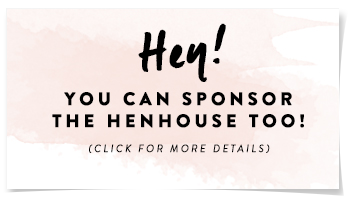 Hi, I looked up tips for flower boxes and found your site. What a lovely home you have!! Thanks for sharing this post – you explained it so clearly. Thank you for the good writeup. It in fac was a amusement account it.